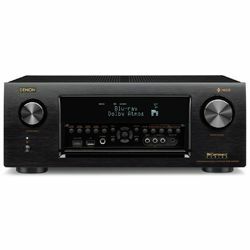 The modern user interface, easy to setup along with great sound – if you look for something like that read attentively the review Denon AVR-X4400H vs Marantz SR7012. 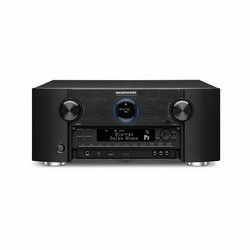 The Denon does a great job of adjusting speaker output for the room, Marantz SR7012 vs Denon AVR-X4400H also does an excellent job of playing the appropriate sounds out of speakers, even on 5.1 tracks. Try to run the previous with a 5.2.4 speaker setup – it’ll sound fantastic. When there is rain in the movie, it sounds like it is really raining outside. Audyssey multi EQ room calibration software onboard of the Denon sends a test tone out to your speakers and it helps calibrate your room. Because of the modern user-friendly UI and system setup, Marantz can have it up and running and calibrated pretty quickly. The Audyssey calibration system worked great. The thing that was the biggest pleasant surprise was a feature built into the HEOS app. 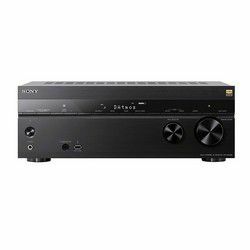 Having on Denon AVR-X4400H an HDMI output for a Zone 2 TV is great. Much improved GUI menus and de-complicated remote control are appreciated improvements. The SR7012 has plenty of legacy inputs including a phono stage as well as color-coded speaker terminals for all the channels of built-in amplification. Both receivers are easy to setup, as built-in calibration leads you step-by-step through the installation process. The X4400H is solidly made with an excellent build quality and a solid aluminum front panel that has a black brushed metal finish. All the other connections are at the rear where you’ll find seven more HDMI inputs and three HDMI outputs. The Denon comes with a well-designed remote control that matches the finish of the receiver itself, all the controls you need are there. 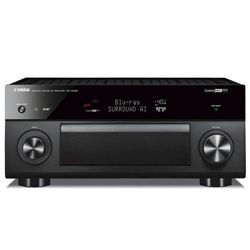 Versus Denon Marantz SR7012 has the overall design both minimalist and stylish whilst the build quality is excellent. The SR7012 comes with a lovely remote control which is laid out comfortable to hold and intuitive to use. In comparison to Denon’s remote, it has a backlight, which is great. 3D audio formats Dolby Atmos and DTS X enhance the movie experience incredibly. Easy to setup and intuitive to use. Lack of backlight on the remote. It sounds great for both music and movies. HEOS makes things like configuring and streaming music to Zone 2 easy and enjoyable. Doesn't support 4K HDR for new Apple TV 4K.